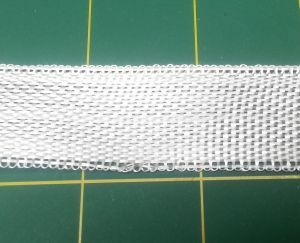 Medium weight fiberglass cloth strip. 25mm (.95") wide by either 900mm (35") or 1800mm(71") long depending on the option picked. Recommended for spot repairs or to strengthen the glue joints for motor mounts and hull to deck fiberglass seems.